Yes, how about flowers. 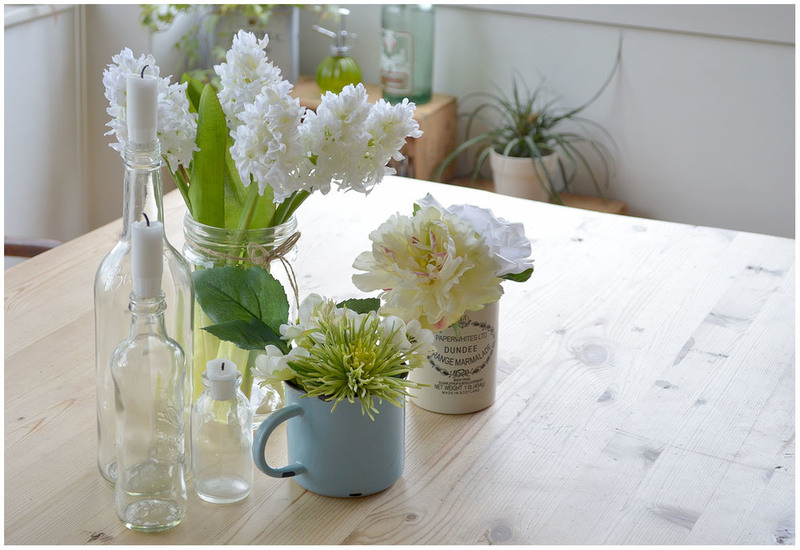 How about filling our space, our home, our rooms with blooms, blossoms, leaves and stems. Finally welcoming Spring with open windows, a fresh lick of paint on the walls and the seasonal beauty of some delicately coloured petals. When the days get longer and the sun is out, there's nothing better than a Sunday stroll around a flower market, coming home with arms full of flowers and getting to work displaying them all. Sometimes though life gets in the way and our Sundays are taken up with other things, or maybe the weather isn't what it should be and the last thing we want to do is try to juggle an umbrella along all those flowers... 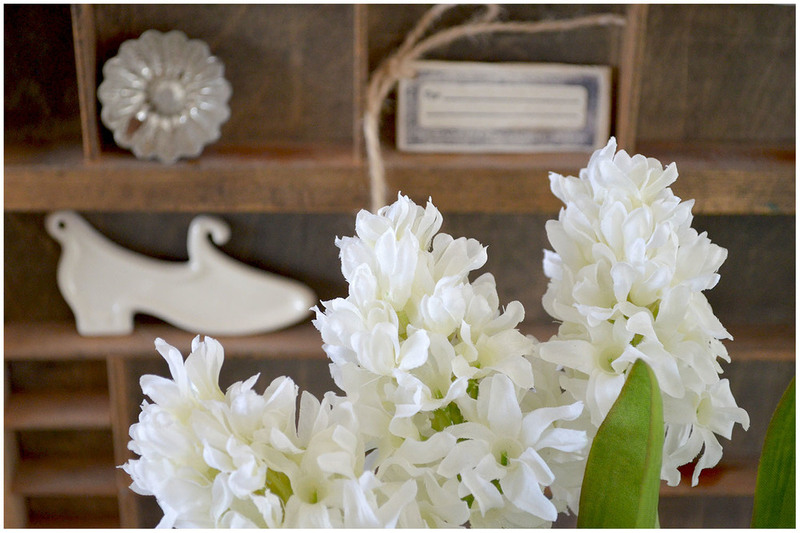 The thing is this: we're fast approaching the end of April and my home just wouldn't feel right without flowers. Having been really busy over the last few weeks, I knew I wasn't going to make it to the flower market any time soon. 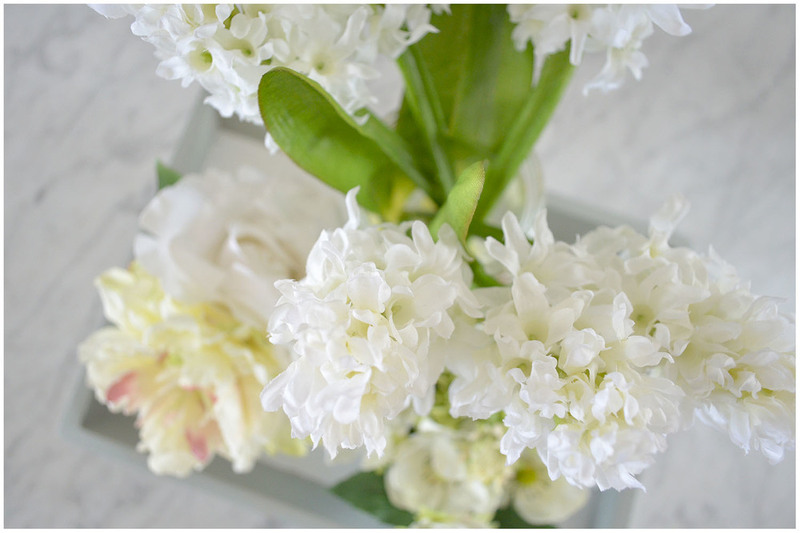 So, when I was approached by Paper Whites and they asked if I would be interested in their pretty flower arrangements, I immediately said yes. Somebody must have read my mind I thought and I was really curious when the parcel arrived. Unpacking a parcel filled with lovely flower arrangements and having fun deciding where to put them is one of those things I can happily spend hours on. I'm really pleased with how lovely they look and how they fit into my home . 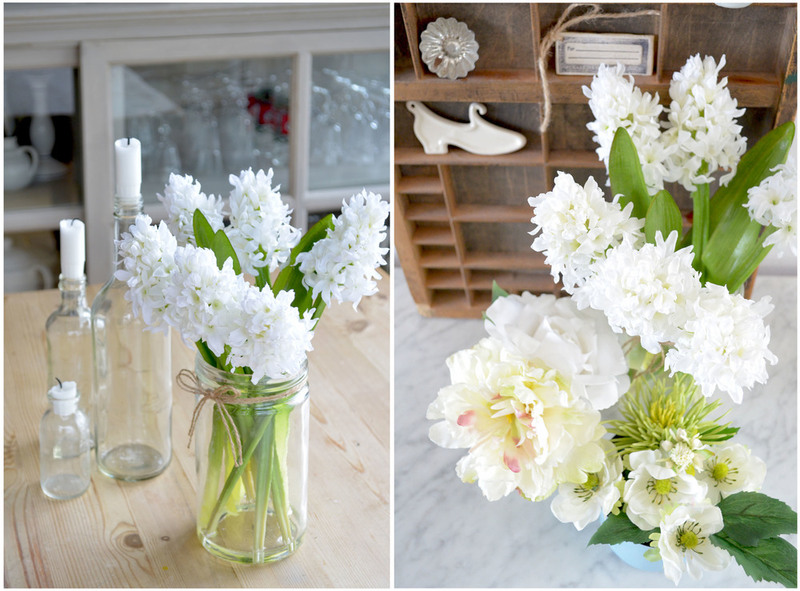 The flowers look very real and the jars they come in (they're not quite vases, are they) are the kind of thing I would always use anyway which makes them just perfect. What do you think?